What has been bugging me recently is the fact that the applications that I had setup to start each time I boot my Window 10 MacBook Pro, does not come up any more. 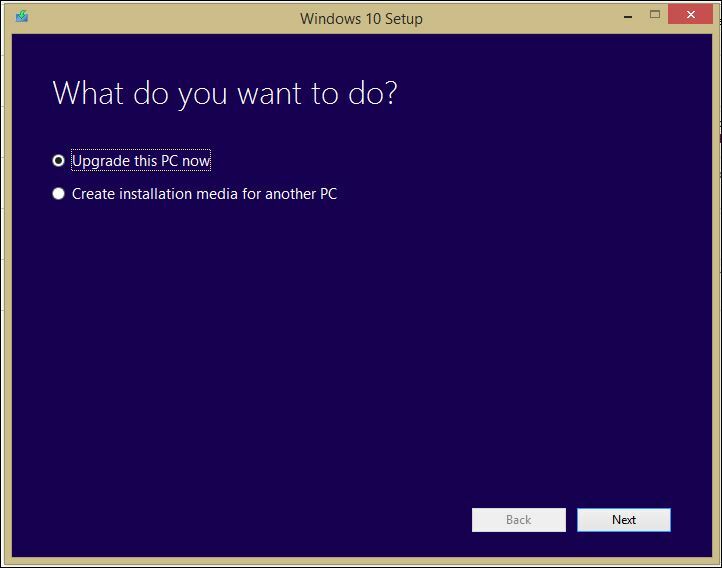 I’m not sure if it was meant to come across during the upgrade from Windows 8.1 to Windows 10 or that I’ve missed some sort of setting during the upgrade; fairly certain there wasn’t one but it’s neither here or there any more. 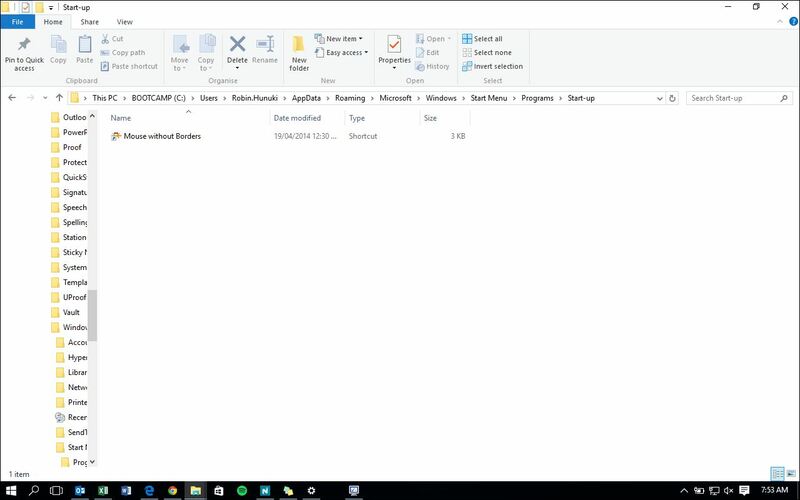 With this, it appears that it is much easier to get to the Start Up Folder within Windows 10. (Note: after testing, this too is in Windows 8.1 so I’m well a head of the curve ball…NOT!). Either way, hope this assists someone out there! Windows 10 TH2 Release Professional Build 10532. Windows Insider subscribers may have received the second release to Threshold 2 Update as of Friday 28th August 2015 (Sydney Australia). 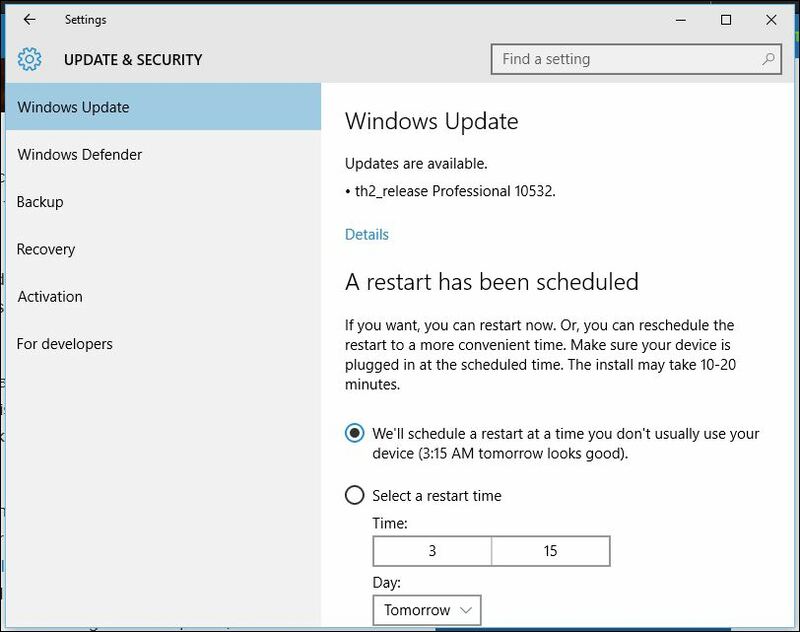 When it was release early Friday morning (for us here in Sydney, Australia), we noticed that for some reason, devices with Windows 10 TH2 Release Professional Build 10525, had immediately started pulling down the new update. No word of warning, it just started to download. Unfortunately, this caused havoc on our link within our office that morning. With this, several test devices that had Windows 10 (TH2 installed) started downloading and utilising all available bandwidth on our network. Even though we have a massive pipe to our office, we could see the strain on the network and the effects it was having on our business; we immediately took these devices offline which brought the network back up. I had thought that BITs (Background Intelligent Transfer Service) would have control the throttling of bandwidth, however I was advised by one of my colleagues that BITs wouldn’t understand the parameters of the network and therefore just grab as much bandwidth it could. Keep this in mind if you’re looking at installing the latest update, as it will no doubt smash your bandwidth if you’re careful. On a personal note, the TH2 failed to install on my MacBook Pro (late 2011 model) with Windows 10 Professional. I find that it gets to the installing update after a reboot, where it then performs a roll back. I will advise once I’ve managed to resolve this! Windows Insider subscribers are available to download and install the new Threshold 2 Update. 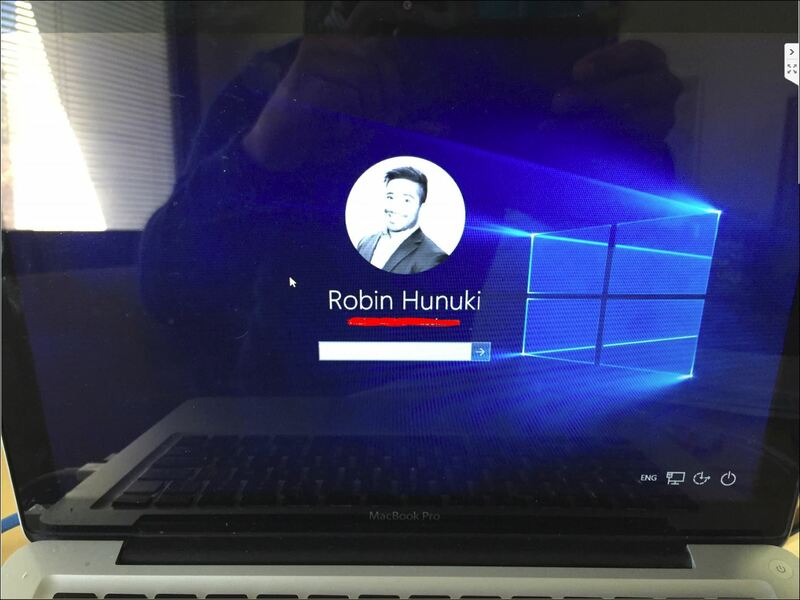 This will be available to Windows 10 users in October 2015. 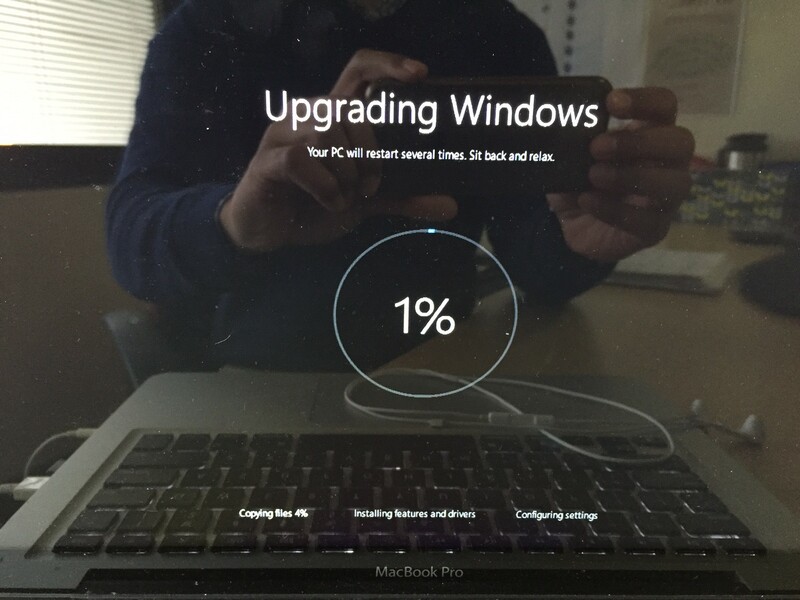 From what I understand, and what my trusty colleague Steven Hosking has advised, it is classed as Windows 10.1. Will post more once I’ve installed / reviewed and had a play! Can’t be bothered waiting any longer, I’m installing Windows 10! So in my previous Windows 10 post, I had noted that I was going the patient approach, and that I would wait for Microsoft to push the Windows 10 update to me in due course; that was last night. I was expecting a pop up window on my laptop this morning asking me to update to the latest version of Windows – Windows 10… however all I got upon checking this morning was a big fat NOTHING! 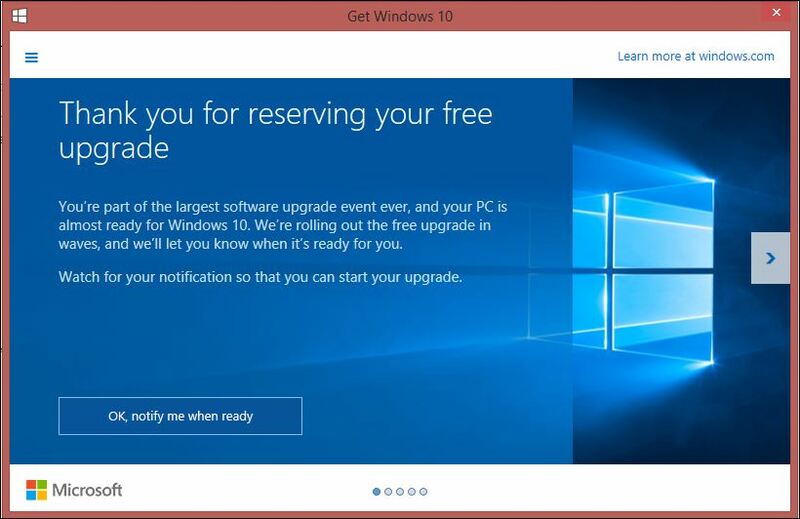 Anyway thanks to this link, I was able to skip the line and proceed with upgrading my Windows 8.1 edition to Windows 10. Just to reiterate the article’s first step, it is very important to BACK UP your data prior performing ANY upgrade. Once I backed up my data, I had went to Microsoft’ Download Windows 10 link and clicked on ‘Download Tool Now (64-bit version)‘ and hit run once prompted. Obviously check and download the appropriate version applicable to your PC. Once it runs through the initial checks of the PC, updates, it will then prompt advising the applications that will NOT be brought across to Windows 10. Select what you would like to keep (i.e. Keep personal files and apps, keep personal files only or keep nothing at all) with a clean install – hit continue. Once competed, it should provide you with how you would like to login (using your existing login profile, or to create a new one). Once confirmed (using my previous Microsoft ID account) I had logged in successfully and found Windows 10 had finally installed. After the initial setup and configuration, I’m happy to say that I’m a Windows 10 user. It’s probably safe to say I’m well behinf the 8 ball when it comes to using Windows 10 however I’m sure I’ll be able to figure out the ins/outs of it along with the pros and cons. I’ll do a bit of a review in the next couple of weeks. Good luck with your installs out there! Trust Relationship Errors – Not the ones you need to hand over your mobile phone for! So this week, I was given a task to resolve an error that was evident on one of our Hyper-V servers in our cluster. The error message; The trust relationship between this workstation and the primary domain failed. As you do when troubleshooting, you work from the bottom up, whilst applying a bit of logic along the way. I did the standard troubleshooting steps of ensuring that a Domain Controller is present and communicating on the network and that the network was configured correctly. Thankfully, this was just a case where a server/device had lost itself in the environment and need to be reconnected back. In this blog, we’ll look at a couple ways to resolve this issue. 1st Option – Offline Access & Reconnection (Laptops /Workstations /Servers). (Prerequisite; This assumes you have a Domain User Account with local administrative permissions and/or a Domain Administrative Account to re-join the machine back to the Domain). If this is a physical machine, and that you’re able to remove the network cable from it, then do so. You too can achieve this if this machine is a virtual machine. Jump onto Hyper-V manager and disconnect the network from it. Once you’ve put the machine into effectively an ‘offline’ state, you will then be able to log-in with the ‘cached’ domain credentials. Once logged in, plug back the Ethernet cable into the machine to restore network connectivity. If you’re working with a VM, re-enable the network. Now, go to System and re-join the machine to the domain using the Domain Administrative credentials. This too can be achieved by logging into the machine with a local administrative account, and then using the Domain Administrative credentials to re-join the workstation to the domain (without having to remove the machine off the network). Soon you will be prompted to reboot the machine to take in the changes. Perform the reboot and try to login to your machine with your domain credentials. 2nd Option – Changing the Domain (ever-so-slightly) – the process I used. So going back to the opening paragraph about being assigned this job, I had to find out how to achieve disconnecting/reconnecting this Hyper-V Server from the network without causing havoc on/within the environment. What I did: I logged into the server with the local administrative account credentials. I see the Server 2012 R2 desktop. I right click the Start Menu and select System. Here you will be prompted with the Computer Name and Domain. Under Domain, you should have the FQDN of the domain this machine is connected to, in my case, our Hyper-V Server. What you do now, is remove parts of the domain name. For example, if the domain is called, CompanyX.Local, remove the .local and leave CompanyX. Simple as that. After that, select Ok. Here the server will go off and look for a/the Domain Controller within the environment. Once found, it will then prompt you for credentials to re-join the machine back to the domain. Enter the Domain Administrative credentials on hand. Once completed it will prompt you to rejoin the server back to the domain. Reboot the server and you should be able to login to the server, once rebooted, with the Domain User credentials /Domain Administrative credentials. If you have SCOM installed on the machine, remember, put it into Maintenance Mode, otherwise the gremlins that manage/monitor SCOM, will come after you with bells and whistles.